Orkhan Ahmadov is a Waves Ambassador and Local Community Manager. Co-founder of Azerbaijan Blockchain Center and founder of CryptoAZE – Azerbaijan Blockchain & Cryptocurrency Community. During the event, Orkhan will show examples of blockchain introduction in Azerbaijan. Smile-Expo notes that the conference program will be regularly updated. 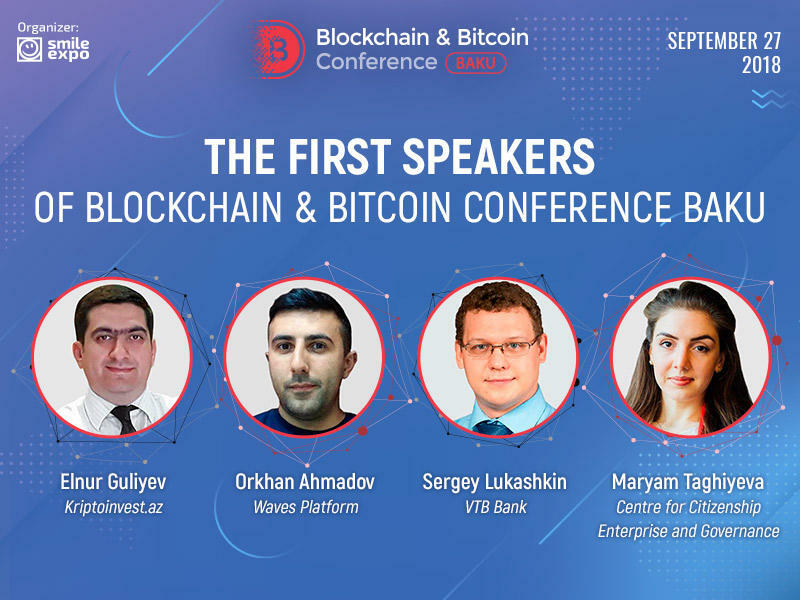 To keep the track of the latest updates is as easy as ABC: every day the Blockchain & Bitcoin Conference Baku website publishes announcements of new speakers, interviews, articles about the blockchain industry in the world. Simplify the process of receiving news via a subscription – it's really convenient.